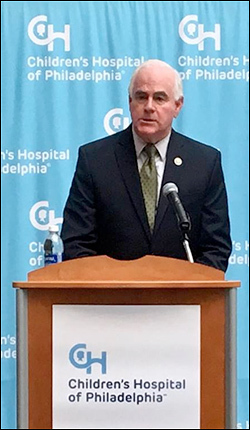 Jan. 29, 2018 — The alleged sexual harassment situation involving four-term Pennsylvania Rep. Pat Meehan (R-Chadds Ford) culminated with his retirement announcement, last week. 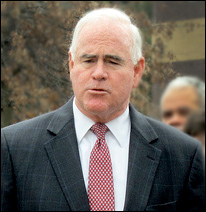 In a letter to Speaker Paul Ryan and his local Republican Party chairman, Meehan wrote that he will not be a candidate for a fifth term in November. But, his personal situation may not be the only reason that voluntarily leaving Congress makes sense for him. As we’ve discussed on several occasions, the Pennsylvania state Supreme Court invalidated the state’s congressional map earlier this week on grounds that the empowered Republican political apparatus took partisanship too far in constructing the 2011 plan. The GOP will try to flip this case into federal jurisdiction — the US Supreme Court has never ruled a map invalid because of political gerrymandering, and are actively considering several such cases during the current term — but the party’s prospects of doing so are likely poor. If the state high court’s ruling stands, the legislature and governor will be forced to present a new map to the Justices by Feb. 15 in order to keep pace with the current election calendar. 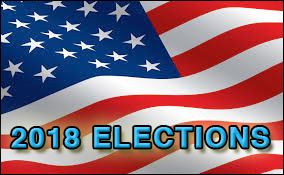 The short deadline will likely avoid compelling the court to delay the state’s March 6 candidate filing deadline and May 15 primary election. Now with a Democrat governor in office, and not the Republican that signed this map into law, it is highly probable that a veto will occur over the next GOP iteration. If so, then the court will appoint a special master to draw the new map.